Black theatre is my life. 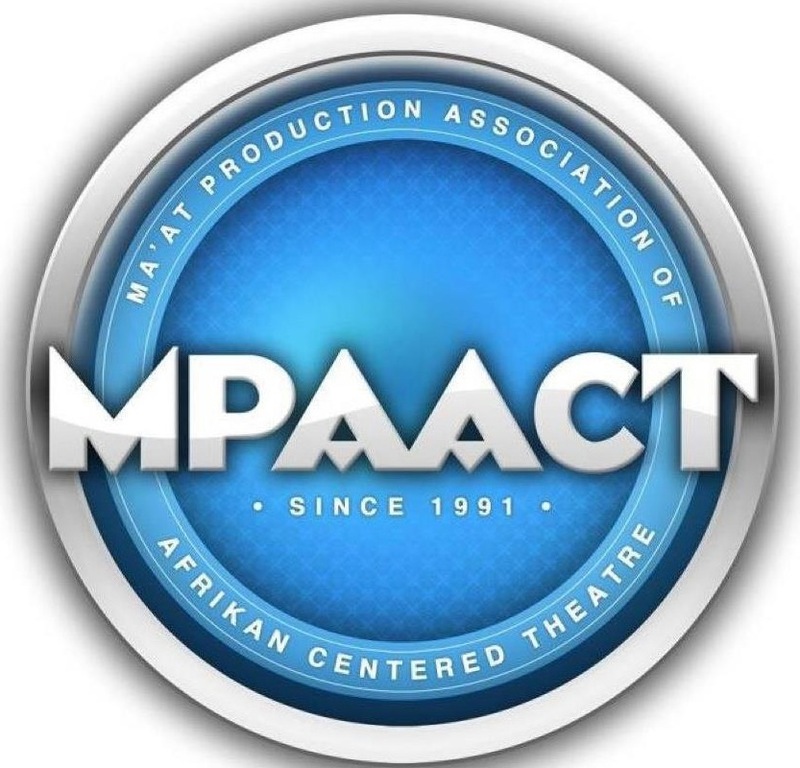 I am the managing producer of MPAACT (Ma’at Production Association of Afrikan Centered Theater), a company that solely produces new work by playwrights of the Afrikan diaspora. 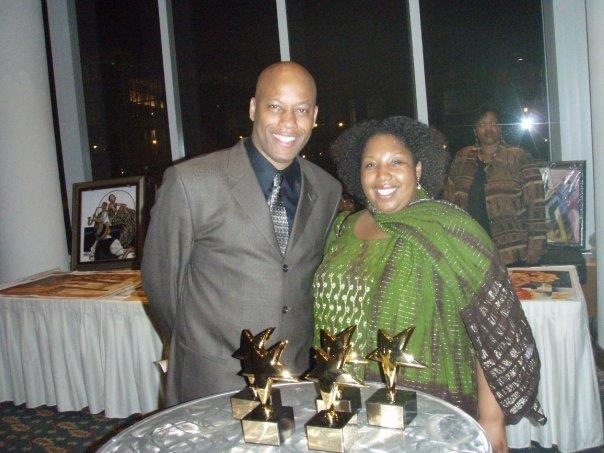 I am a playwright that chooses to write about the African American community that nurtured me and that I love dearly. I am a director that chooses to work with playwrights of Afrikan decent. And most importantly, I am an arts educator and I choose to do this work with as many black children as I can get my hands on. I left my very stable corporate life a few years back to do this thing full time—this black theatre thing—that I have been doing since I was a child. So I have made black theatre my life. I think it is safe to say that when you spend this much time with anything (in my case black theatre), you think a lot about it. When it is good to you, you think about how much you love it. When it is causing you trouble, you think about why you put yourself through the stress. And when it is in trouble, you try to figure out how to save it, fix it, and make it better. You try to find the root of its problem. And once you think you have identified it, you obsess over what you can say or do to make a difference. So, it was one week before the first day of black history month when one of the young women, who for whatever reason looks to me for advice, asked me to meet her and talk about the Black History month celebration she wanted to do at one of Chicago’s oldest African American arts centers. I promise I’ll get to the point of this story, but in much like my mommy and all the old black women that raised me, I have to work my way up to the point. Anyway, this young woman said that she and three fellow twenty-something Black artists wanted to do this performance piece inspired by the Margaret Burroughs poem “What Shall I tell My Children Who Are Black.” I hadn’t read or thought about this poem in years. So I had to go back and give it a read. Ms. Burroughs’ poem, is asking the question: How do we (Americans of African slave ancestry) as a people tell our children that they matter—that they exist and are worthy in a world that constantly seeks to degrade and dismiss their existence. This was my Oprah Winfrey “Ah Ha” moment. See, I have been reading plays written by black writers and working with these playwrights and let me tell you something—I am concerned. I have been asking myself about the future of black theatre because I have been watching the black story die. And it all starts with the story—right? How do we (Americans of African slave ancestry) as a people tell our children that they matter—that they exist and are worthy in a world that constantly seeks to degrade and dismiss their existence. In an effort to be produced (something the black writer must do to eat), the black playwright has moved into a safe and post racial model of storytelling. The days of an August Wilson—who stressed that the stories of black maleness were important American stories that had to be added to the canon—has passed. The days of a Ntozake Shange—who redefined what a play could look like and gave voice to the black woman character without that voice being filtered through her sage advice to her children or her importune plea to her man to “see” her—have passed. Season after season most of the plays that cross my desk are about three things; 1) Great Negros in black history and the triumph over whiteness 2) Stories about the “hood” and the triumph over the ghetto 3) Stories with no cultural specificity about black people floating in a neutral space. This is a problem for the theatre company that desires to produce new work from the black writer. I am concerned. But then this poem was returned to my consciousness and I was given the blueprint of what I think needs to be said. This is what I shall say to you, my young playwrights who are black. Without you, the black theatre is not going to last, because the voice of a generation—your generation—is squarely rooted in the details of your specific story. Don’t allow your voice and unique black experience to be muted by this country’s efforts to move us all past race. Because when you allow your voice to be muted, you participate in the genocide of the black experience and the death of the black story. You, the black playwright are the future of black theatre. On your shoulders rests the responsibility to add the rich cultural tapestry that is blackness to the American theatre canon. You must be bold in your storytelling. You must explore the full breath of the humanity of those who are descendants of African slaves. In this boldness is the future of black theatre. You must have the audacity to tell the story of blackness the way you truly experience blackness because this is the heart of the black story. And let me free you from this notion—there is no singular black experience. There is no story of blackness that is most salient. Be comfortable in knowing that whatever story you wish to tell is a black story because you my black playwright told it. Live in your blackness and spread it through your story. My dear young playwrights, know what type of artist you want to be. Learn your aesthetic and stand by it with courage. To learn your aesthetic, you must first be a student of your culture, and a student of the discipline of writing. It is your job to seek out those who are standing boldly in their art and aesthetic and ask them to stand boldly beside you. Some of them will say no, but many of us will say yes. I know you are in a world where your scripts are pushed aside more often than not. I know that your impulse is to move closer and closer to a neutral story washed clean of the things that might be off putting to mainstream theatre—things like your blackness. This move toward neutrality is very tempting because you have to eat. But if you swallow your voice, the future of black theatre is pushed down into the gullet of the institution that is American theatre and the black story will soon be digested and then passed. To my young playwrights who are black, there are places for you to grow. There is a community of artists that will welcome you into their home. I have one such home. But you have to show up. Your generation has a gift—the gift of Google. Search for the black theatre companies doing the work that you want to do and reach out to them. If they don’t call you back, call them again. Be bold in your pursuit of opportunities to practice your craft. When the theatre world looks at you and asks you why—why your story is special or important (and the theatre world will ask) keep in mind that the reason we revere the works of Hansberry, Wilson, Shange, Nottage, Cleage and company is because they made the bold choice to live in their blackness and live in it loudly. These playwrights wrote/write the stories that ring true to their spirits and that sing of the full breath of their humanity, because they embraced that they are human because of their blackness, not in spite of it. When the theatre world looks at you and asks you why—why your story is special or important (and the theatre world will ask) keep in mind that the reason we revere the works of Hansberry, Wilson, Shange, Nottage, Cleage and company is because they made the bold choice to live in their blackness and live in it loudly. To my young playwrights who are black, I have ultimate faith that you can move forward boldly in your unique brand of black storytelling because this bold storytelling is the breath of life that keeps our beloved black theatre healthy so that she will be there for the next generation of storytellers. I have faith in you, because I must. I have faith in you because someone had faith in me. My hand is stretched to you my young playwrights who are black. You are the axis on which the future of the black story spins. Stand boldly in this space with all the honor and joy that lives there. Theater is a business. Like any business there are elements of product and marketing however,first consideration in any colonial operation is the question of raw product(resources) and that resource is talent. The operational cost is determined bythe cost of raw material. The cheaper the material, the higher the profitmargin for the product sold. There is a prevailing mythos, “there is no money in theater.” Theater is BIG business. There is little money in the resource end.Talent is trapped in a Matrix of high cost education, systems off private andpublic funding grants, and finally, an overflow of such talent teeming at thegates of the manufacturer (modes of production). The process of auditions and submissions controls the influxof resources and retains the control of the entire system of production. Theaudience is consumer orientated and they are convinced by advertizing what besttastes—much like cola sales. The 21st century playwright must eschew theexisting exploitation of his product (story script) if he or she wishes toinfluence the market to their advantage. Presently, it is not designed to favorthe talent resources. The oldmethodology of submission is one important way of controlling the market andtherefore, the business of theater. Change the manner in which you create theater and deliver itto market and you change the manner in which theater is conducted as abusiness. 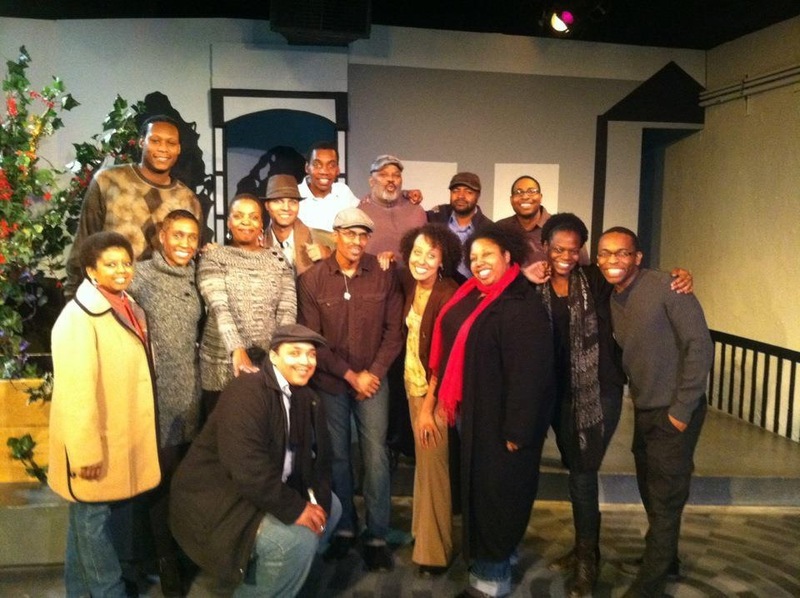 Being an older Black playwright I could think of a few thingsto tell our young Black playwrights. This of course, assuming there will be youngBlack playwrights who care about Black Theater and the Black voice continuum. The first notion that comes to mind is the reality that Playwrightingis in fact, a science. Though not an exact science, it is nonetheless, ascience. It is a subset of the science of communication. The writeris the emitter and the audiences arethe receptor. Social orders are based upon scientific rules of control.This would include most of which we take for granted as chance or happenstance. Theater like any other medium is tool ofsocial control. Black Arts must adhereto this dictum otherwise it is not subject to controls by society. This is oneof the major issues with public and corporate support of artist and the arts. Nowhere is there credible Black support on the public andcorporate level of the Black playwright; if artistic support does not draw itslifeblood and rason d’ entrée from community sources. Then most anythingproduced, or sought after, is up for grabs by those systemic entities; whose agendamay not necessarily be in the best interest of the Black community and itsgoals for just more than survival. Black people have been subsumed into Western group think andas a result are more Catholic than the Pope or More British than the Queen, ina manner of speaking. Hence we must understand, quite clearly, we are a capturedpeople and anything we consume is designed to perpetuate this mental captivity.Social and Political Freedom is a mythological construct. We cannot continue todepend on the majority social constructs to meet our unique ethnological needs.This fact is made painfully apparent when considering the university system oftheater education. A case in point;Black theater practitioners will produce European playwrights from Albee toWilliams. Yet, I know of no White practitioners who actually has produced a scriptof Ed Bullins or any other playwright of colour with a white cast. This wouldindicate to my mind, our theater is not considered “universal.” It is only the Black playwright urged bypopular demand to be all things to all people. As for the issue of writing to eat by the Black writer? Thisis a serious problem with its roots in the fact, no Black corporate monies or BlackFoundation support is readily available to support our artist. Wealthy Blacks will not trust Black Artistic Directorswith their hard earned money. So if themeans of production are not within our means to control, then control escapesour cause. In summary, I would opine, Black playwrights are scientistwho need to understand the theosophy of the universal order and the quanta ofmind, in order to substantially meet the needs of Black theater and the Blackvoice. Meaning, we need Blackprofessionals not only in the arts, but the full commercial spectrum aswell. We need to change the matrix ofour social existence in not only theater, thus influencing the theatricalworldview as well as the social dynamic of our communities. This is somethingthat will take centuries, and we’re already late as the madhatter in this the21st century. This was truly inspiring. Keep up the good work! This is a fascinating topic. I'm so glad you wrote about it. What to tell our young black playwrights? 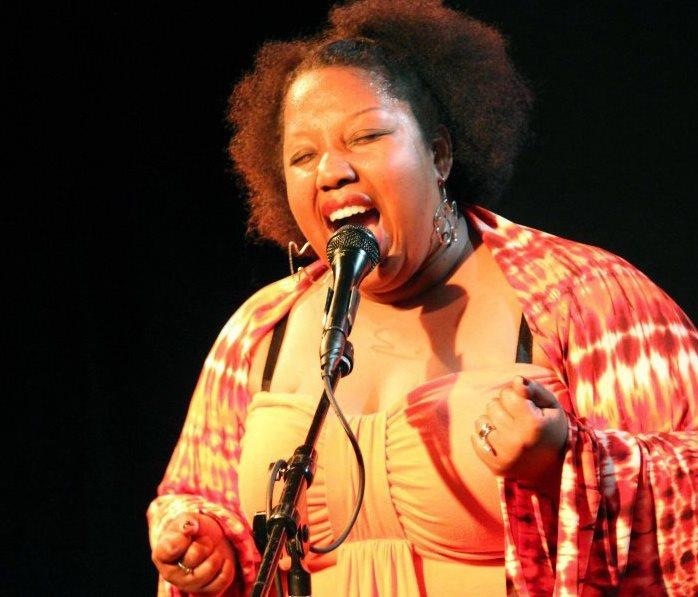 Remind us of the powerful words Lydia Diamond spoke at the Black Playwrights Convening in 2010. When speaking about her experiences at ETA in Chicago, she said, You'll never have an audience like that ever in your life because it's full. Ever night... [and] 200 black people feels like 500." Remind us to be UNAFRAID and continue to seek out and maintain artistic homes in the land of OUR giants. Regardless of the struggles and limitations our institutions face, we must still fight and advocate for them. We must continue to knock on their doors. I had a talk with a wonderful sister who runs a great theater here in Dallas. She told me of how hurtful it is when she attends shows across town to support artists that have worked at her theater - and reads their bio only to discover they have not listed her theater among their credits. WE have to STOP doing that! Remind us that like we say in church, "I love him because he first loved me." The same goes for OUR theatre instutions. For many of us - they were our first homes. And they gave us opportunities that at other theaters, we would probably not be deemed, "qualified" or "ready" for. They gave us commissions, readings, workshops, residencies and productions. They gave us places to fly and crash. And do it all over again until we got it right. People like Vicki Meek/South Dallas Cultural Center-NPN Chair, Teresa Wash/TeCo Theatrical Productions, Eugene Lee/ Black and Latino Playwrights Conference, Regina Washington/African American Repertory Theater, Curtis King/The Black Academy of Art and Letters, and Guinea Bennett-Price & Anyika McMillan-Herod/Soul Rep (oh how we miss Soul Rep) have provided so many wonderful opportunites for me and many others. And they supported me not because of my credentials - didn't have any. But beause they believed in me and were willing to invest in my potential. Tell young black playwrights to remember to return the favor. And to keep those home-ties strong! Regardless of where we go - we MUST always put HOME first! And most important - remind us that as we learn and grow, we must take back what we've leaned and earned so that we can invest in these fine institutions. And we must not be afraid to switch the roles of mentor and mentee. Honoring and deferring to our elders and teachers is an important part of our culture. However, we must be willing to make OUR voices heard and disagree - when we feel it is in the best interest OUR aesthetic and cultural longevity. My god, this is BRILLIANT. Thank you, Carla! Thank you for your words, and your encouragement. As an actor/writer, I salute you! I needed to hear this. It is inspiration to keep telling OUR stories...to keep telling my story. Thank you, Carla, for your comments. Hopefully, people in the Chicago area who read this blog will remember that IMPAACT is worth visiting as well as the Steppenwolf, Goodman, etc. As a white teaching artist helping young black writers tell their story... I am always trying to figure out how I can be most helpful. I often feel my very presence asks the writers to write something "post-racial" or at least conciliatory through neutrality. Advice on what these young black writers most need to hear from a white teaching artist? Or the best ways to listen? My first impulse, of course, is connect them with black artists. And I do, and will continue to. This article is a new place I will send some. But finding that artist is not always practical or even possible, and while it is a genuine option, it is also in a ways a copout or a missed opportunity. What are some things that I can tell these writers? Of course, as with all writers, I ask them to tell the truth, and to speak from their own specific experience. But telling them that without them, black theatre is not going to last, rings hallow coming from me. What can I tell them that will help with that message? I think that the only thing you can do is encourage them to speak their truth. To feel comfortable sharing their experience without the need to apologize or explain who they are or why their experience is valid. But here's the thing that I think most frees the writer of color...a real understanding of the process of storytelling. Teach them how to tell a story and let all critic be grounded in the fundamentals or writing. It seems that you are already an aware and thinking person...that's already a step forward. And get them to the theatre to see new work by black writers and teach them how to be critics of the work. Through this they will learn the value of their own voice. David, I suggest that you continue encouraging them to tell their own stories and to work hard at the craft of playwriting. It also will be helpful to find newer plays that depart from the traditional so called "well-made play," and to look at other forms, especially that which is being called hip-hop theater. Great words, thank you. I also wonder, how do the stories these playwrights tell reach future young theatre artists and theatre-goers who are black? How do we ensure that young people who are black see theatre has having a space and place for them? We as Americans of African slave decent have to 1) Support the work of new Black writers and 2) we certainly have to become invested in the business of being producers of our own work and not just consumers. Blk youth participate in the art of theatre each day---we may not see it as what america deems as theatre but it is....i.e. church, concerts, conversations around the dinner table, mocking a parent...out youth participate in the art of theatre daily! When we teach---we make the connections----it is already living within!! Right on sister! Right on! Thanks, Carla, for an insightful, heartfelt article. We have to keep writing and keep believing in our own voices. Someone will listen. "You must have the audacity to tell the story of blackness the way you truly experience blackness because this is the heart of the black story. And let me free you from this notion—there is no singular black experience." This cannot be stated bold enough and loud enough and repeated again and again. My gratitude to you for expressing this at this time in theater history. Thank you. Agreed for too long we as a ppl are always looking to others for our identity. Carla -these words need to be given to every grad, artist and performer. Thank you for writing and sharing this. Beautiful, revolutionary and so so important. Thank you, Carla Stillwell. This took my breath away.